Finally there! 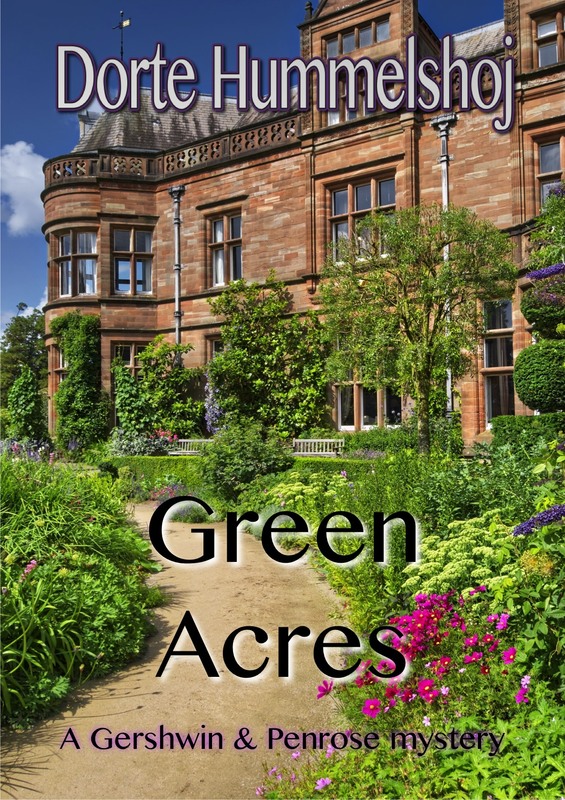 The new, longer version of Green Acres was published yesterday and is already available from several retailers. Now you can find out what happened to a couple of the quirky inhabitants since we left them at the end of “The Cosy Knave”. Mrs Vanilla McVities, the former cook of Netherfield Manor, has bought an old mansion and converted it into an old people’s home. Rhapsody Gershwin, librarian and amateur sleuth, pops in to visit a neighbour and finds herself on the business end of murder. A sheep dog also plays an important role in the story – you’d be barking to miss this one! Rowan Donegal sat slumped in a large armchair that made the wizened Yorkshire farmer seem even slighter than usual. At first, he didn’t even look up. Rhapsody was the vicar’s daughter and had plenty of experience with visiting elderly parishioners. Quite undaunted by his lack of enthusiasm, she slipped in and sat down on the only free chair in his room. Rhapsody’s heart bled for the old man who had been forced to leave his sheep farm and move into Green Acres, the new home for the elderly of Knavesborough. But Rowan had broken his hip a couple of weeks ago, and Doctor Cranberry was not too optimistic when it came to training the leg. “Are they feeding you properly?” she asked, doing her best to find topics that would interest him without reminding him of the free life he had been forced to give up. “And Mrs McVities doesn’t venture into the kitchen herself, does she?” Rhapsody winked conspiratorially. “No, at least not around dinnertime,” Rowan snorted. Director Vanilla McVities was supposed to be a cook, but after her brief employment in the kitchen of Netherfield Manor last year, she had very wisely chosen a new career path. The old mansion Green Acres was put up for sale at just the right time, and with the assistance of a wealthy relative she had been able to buy it and convert it into an old people’s home. The experiment seemed to be surprisingly successful, and Rhapsody was sure many elderly people would think the rooms were spacious. Besides, the lovely garden was a huge plus. However, she suspected it must feel like being caged with a pack of parrots to Rowan who was used to roaming the hills and meadows in the company of his taciturn Swaledale ewes. “Evy? What a brilliant idea!” Rhapsody was genuinely pleased to hear about this new turn of events. Her good friend Evy Wensleydale was the local grocer’s wife, and she knew how to cook all the traditional Yorkshire dishes the residents loved. “She comes here. Her own kitchen’s too small, they say.” With a shake of his head, Rowan dismissed the powers that be with their new-fangled trust in stainless steel and sanitation. “Something about rules and regulations, I’m sure.” Rhapsody nodded. Rowan pulled a face and mumbled something she didn’t get when they noticed the commotion in the hall outside his room. Rhapsody got up and opened the door. It was probably none of her business, but you would never know if you didn’t check, would you? “It’s Lavvy. She’s gone. Disappeared.” Wild-eyed, he clutched at his shirt with his right hand. “You mean she’s passed away?” Mrs McVities stared at him, her mouth forming a wide O. “No, she… she’s gone. Vanished. She was in her chair five minutes ago, but… I just went outside to have a ciggy, and now… see! The chair is empty.” He trembled, and his face was so white Rhapsody feared he would faint. Congratulations, Dorte! I got this story as well and I’ll soon be reading both, including “Ding Dong Bell, The Kitten in the Well,” back to back. Very happy for you, Dorte!! Such good news! Thank you, Margot. It’s just a tiny, little thing – still, publishing a book is always exciting. Congratulations! I must read the longer version.